The Interactive Games and Entertainment Association released 2017’s figures on video game consumption in Australia – $3.23 billion, up nine percent from 2016. 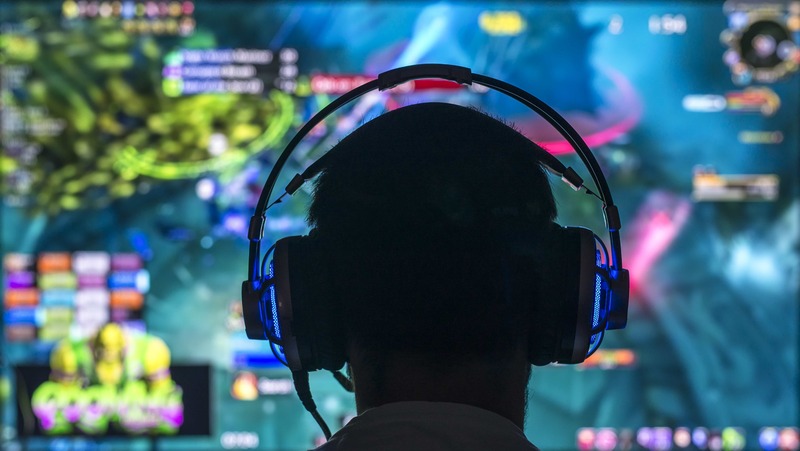 Sporting similar trajectories are Esports and virtual reality, and with these newer technologies, come new ways for sound to amplify the experience. In the beginning, and by the beginning of course I mean 1972, with Pong, or 1971, with Galaxy Game, (depending on who you ask), the sound was a marked absence in games. Later, it existed in the most primitive sense, with onboard sound modules and built-in synthesisers. Fast forward to today, and we’ve got the capabilities of having fully orchestrated, arranged, recorded and produced scores, with the sound being a pivotal character in the game. As programming has progressed, game audio has done likewise, increasing in complexity from simple code to detailed implementation, as convoluted as game programming itself. Games need a sound department that is as skilled with sound as it is with programming. Middleware fulfils this need. Rather than having our audio programming fold into the deep and intricate web of game programming code, we use middleware to simplify some of the programmings on the audio end. As audio is a run-time process that needs to be both thread-safe and fast, specific tools in middleware have been crafted by experts to make these processes easier. Audiokinetic’s Wwise is the middleware of choice for many in the industry, powering everything from Assassin’s Creed to The Witcher 3. Automating sound paths, designing realistic engines, UI, voiceovers in multiple languages and reactive music all become a possibility using the Wwise middleware. Without these functions in Wwise, the programming of such functions is either relegated into the “too hard”, “too expensive” or “? ?” category and promptly forgotten about. With middleware, we can create interactive music, immersive sound, sound for virtual reality, as well as a myriad of other functions. Through the use of these tools, even simple audio can be detailed execution, simple in their design.